An insurance agent in India has been abducted and murdered, with two constables accused of the crime. According to police, two constables – one from the Railway Protection Force and another from Uttar Pradesh Police – committed the crime inside a government facility in north Delhi’s Sarai Rohilla, The Hindu reported. 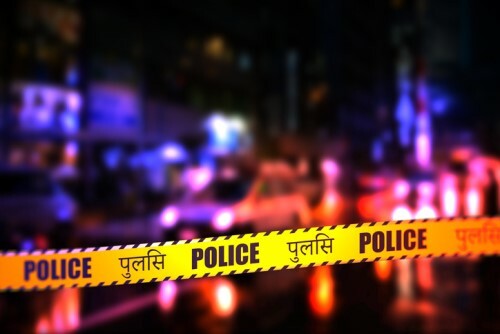 Twenty-five-year-old Prem Kumar, who worked for the Life Insurance Corporation of India, failed to return home on July 19, prompting his family to file a missing person report. Prior to leaving home, Kumar said that he would meet a certain Ajay, a dog handler with the Railway Protection Force, his family told the police, adding that Ajay had contacted Kumar to introduce him to his friend Sarvesh so they could buy an insurance policy worth INR10 million (US$145,000). Police then approached Ajay, who initially told them that Kumar left after they concluded their business transaction. But the police’s suspicions were aroused after Kumar’s motorcycle was recovered around 50 metres away from Ajay’s quarters. After interrogation, Ajay confessed that he was in need of money after being suspended for misbehaviour involving a woman constable. He had conspired with Sarvesh to abduct Kumar because he regularly collected insurance premiums from his clients. However, the abduction attempt resulted in Kumar’s death. In order to dispose of the evidence, the suspects stuffed Kumar’s body in a trunk and dumped it in a canal. On July 22, Delhi police recovered the trunk from the canal, and Kumar’s family identified the body as the deceased insurance agent’s. Sarvesh is still at large and is the subject of a manhunt, Prasad said.